SESSION DESCRIPTION: Skills to Pay the Bills, Business Foundations for Real Estate Professionals, is a series of classes designed to help you achieve your business goals and plans. The courses will help you become the entrepreneur you imagined when starting (or reenergizing) your real estate business. STPB 103: Structure Your Business for Prospecting: Time management, lead generation, where do I get leads? STPB 105: Services for Your Clients: Transaction process, you have the buyer/seller, now what? STPB 107: Contracts & Closings: Overview of best practices for closings and contracts to run smoothly. 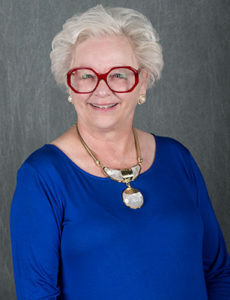 For more than 30 years, Donna Evins has displayed leadership skills through managing successful brokerages, teaching new and seasoned real estate agents, and serving on the Board of Directors at the South Metro Denver REALTOR® Association. She loves contracts! Donna enjoys helping agents discover better ways to complete contracts so they are accurate and legally sound.